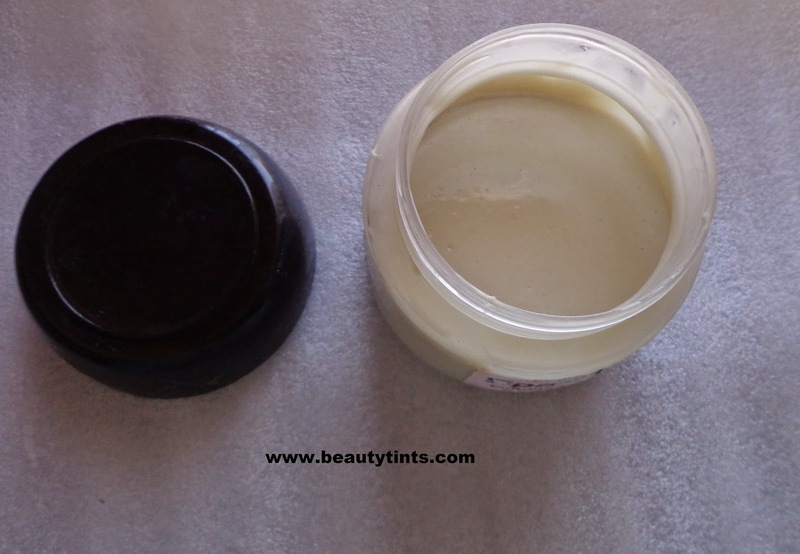 Sriz Beauty Blog: Juvena Herbals Reviva Protein Rich Shampoo plus Conditioner Review!!! 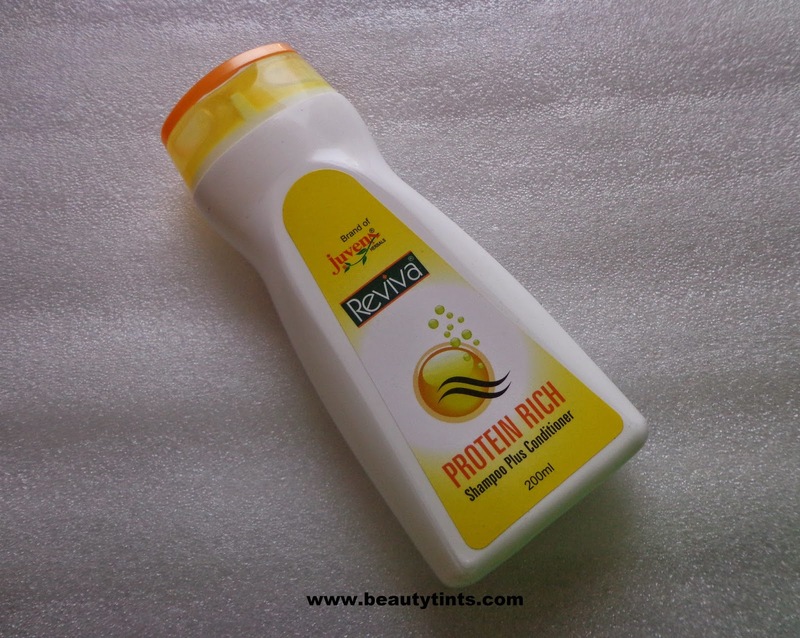 Juvena Herbals Reviva Protein Rich Shampoo plus Conditioner Review!!! 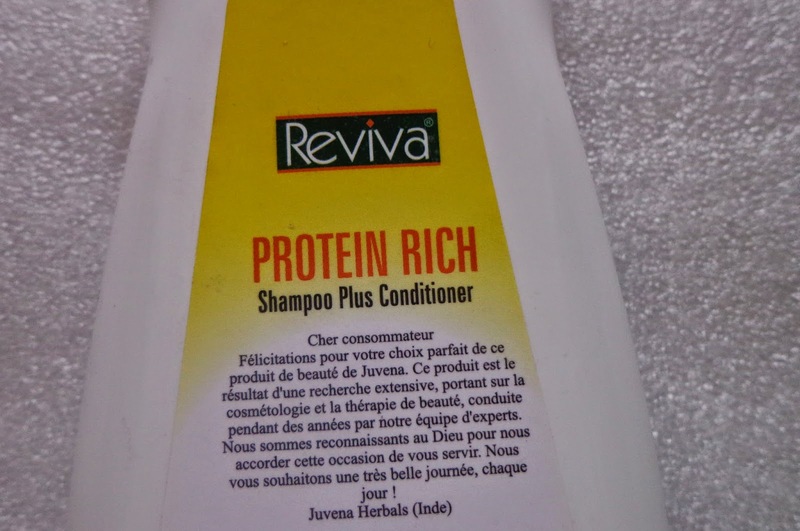 Today I am reviewing Juvena Herbals Reviva Protein Rich Shampoo plus Conditioner which is a shampoo with a conditioner. 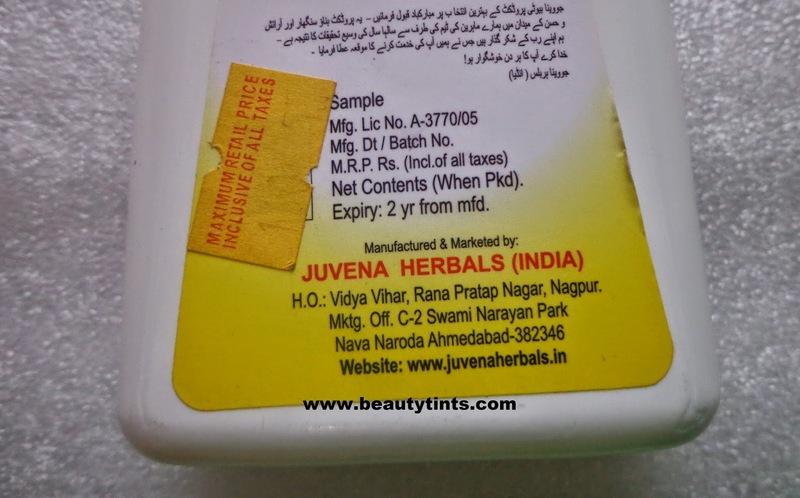 What the Brand Says : Promoters of juvenaherbals Mrs Medha Singh and Capt Rajendar Singh belong to a background rich in the knowledge of Ayurvedics, Herbalism, Advanced Cosmetology and physical fitness. Juvena is built on a strong foundation of honesty, with a motto 'Beauty Naturals' meaning beauty from within and beauty through nature. 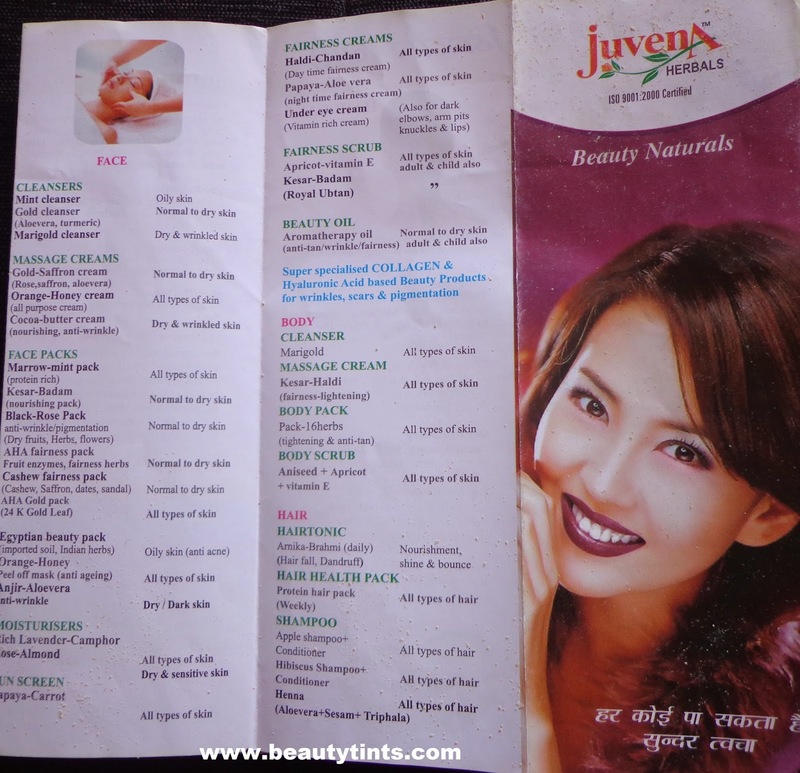 With 23 yrs of experience in Beauty Treatments and slimming, Juvena has not only earned fame and popularity in complete North India but is also a talked-of name in other bi cities across the country. Our treatments are based on correct scientific concepts (physiology, anatomy, myology, lymphatic drainage and digestive system). Since foundation we have believed in using India's rich Herbal Heritage and it has been our endeavor to spread awareness among our clients about the basics of personal Beauty Care which includes above mentioned Biological systems vis-a-vis the resulting effects ( effectiveness) of our treatments and the beauty properties of our Beauty Products. Today Juvena is a Brand with totally satisfied clientele of over 2 lacks, who proudly say " Juvena se achha koi nahi." You can check out more about them here and here. 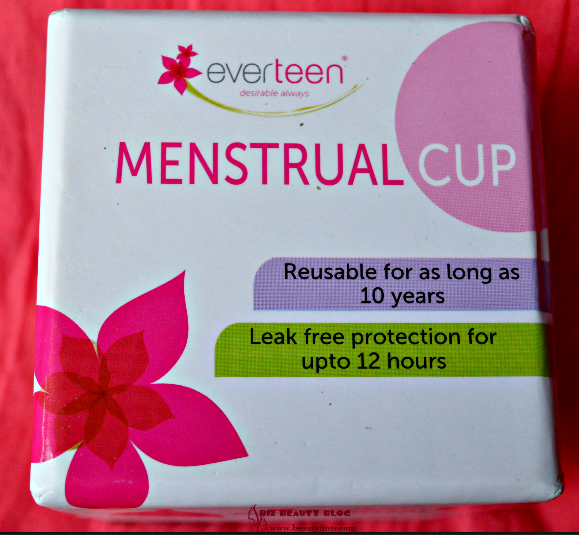 Packaging : It comes in a colorful bottle with a flip cap. 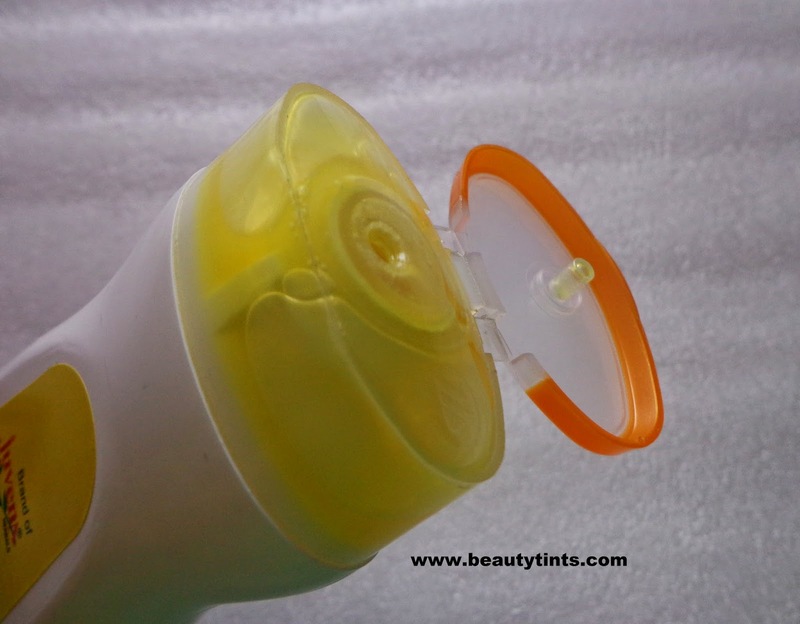 Color and Texture : This is a pale yellow colored runny liquid shampoo. How it Works : Cleanses and conditions the hair properly. Every shampoo stays on scalp for not more than 4 minutes. So all the shampoos in the world cannot do anything beyond cleansing and conditioning. Other shampoos may have harsh ingredient like sodium lauryl sulphate(shampoo containing sodium lauryl sulphate are transparent), which clean scalp and hair properly but damage the hair and root by sucking extra sebum from them and also break the acid mantle(ph balance) of the scalp making it open for the bacterial infections. Juvena's protien shampoo supports the ph balance of scalp, cleanses the scalp and hair without making them dry. Availability : Available only from their website here. 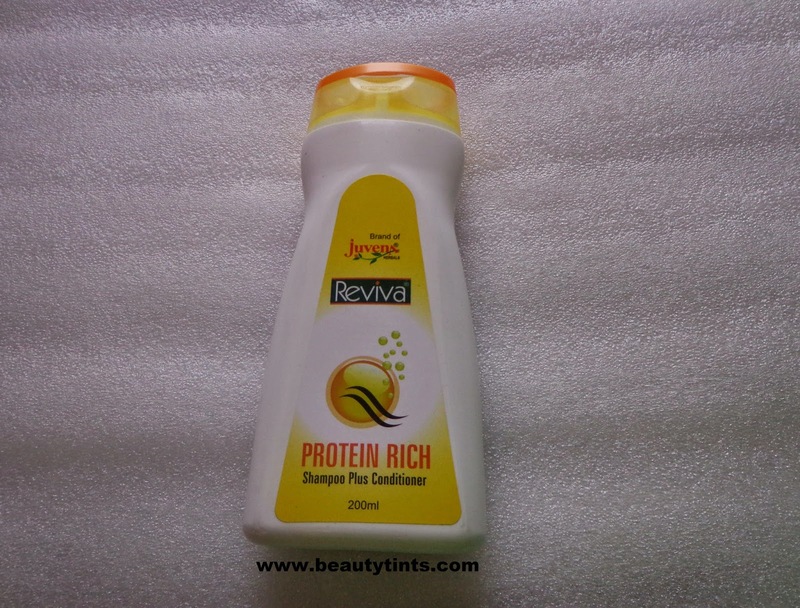 My View On the Product : This Reviva Protein Rich Shampoo plus Conditioner comes in a sturdy and attractive bottle packaging with a flip cap.The shampoo is in pale yellow color and has a pleasant fragrance.It lathers well and gets rinsed off completely with out leaving any residues behind.It cleanses the hair thoroughly making it super clean.As it also conditioner in it,it hydrates the hair well.It also adds a good bounce to the hair.It helps in keeping the hair oil free for more than 3 days,which is a boon for those who have oily hair and scalp like me especially in these summers.It makes hair super smooth and manageable.This shampoo is free from harmful sodium lauryl sulphate.This shampoo helps in maintaining the Ph balance of the scalp and thus helps in preventing infections.It is very affordable.It costs around INR 160 for 200 ml.A little goes a long way and so one bottle lasts longer. 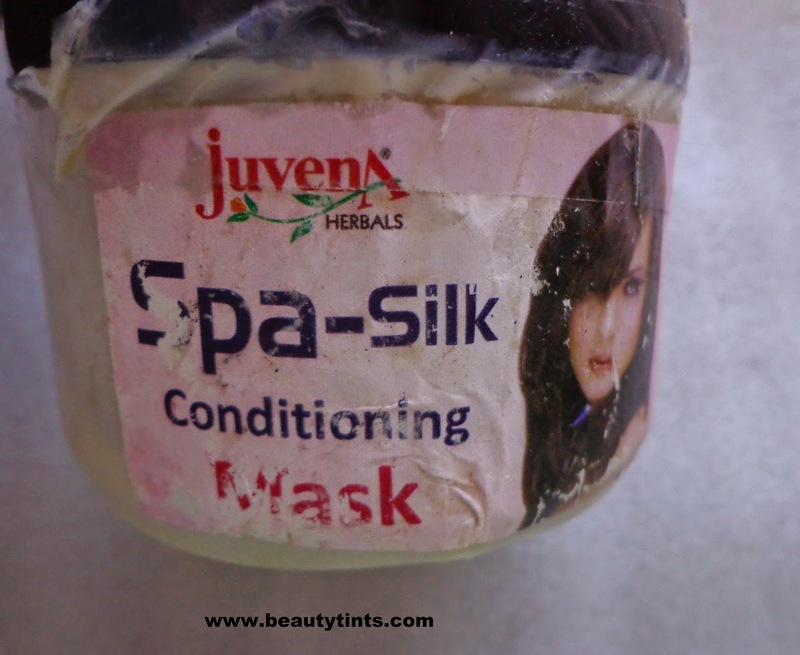 Final Conclusion about Juvena Herbals Reviva Protein Rich Shampoo plus Conditioner : Those who are looking for some thing which can do the job of both shampoo and conditioner should try this!! 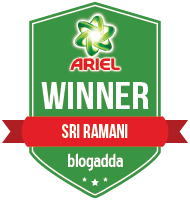 !This shampoo suits all hair types especially oily hair. 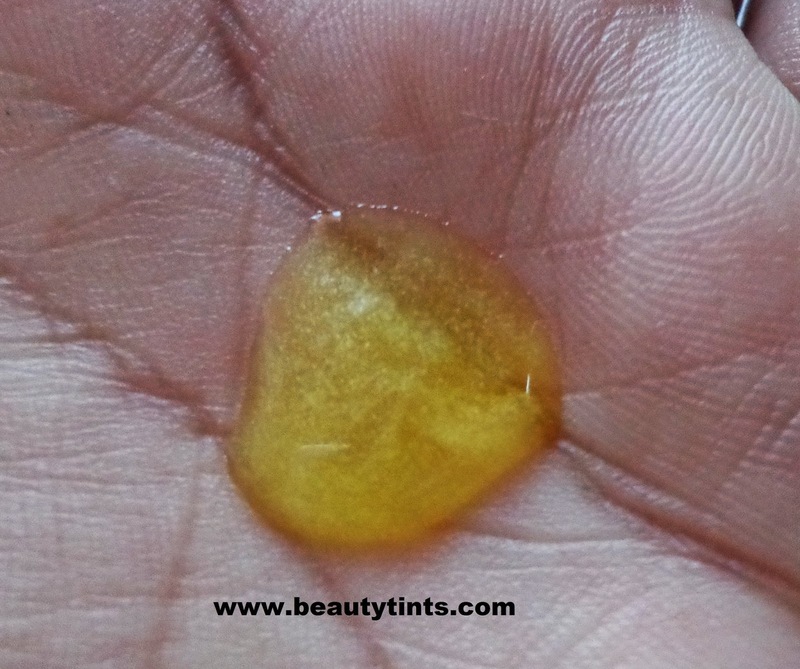 Also check out the reviews of Juvena herbals Spa Silk conditioner and 24 Carat Gold Massage cream .